One of the features in our habitat plan is to include a rain garden and berm. This should help eliminate some of the runoff from the roof of our building. The runoff is causing some erosion problems and could carry pollutants to the small wetlands area on the northern edge of the habitat. What’s a rain garden? A rain garden is a small area designed to temporarily hold and allow water to soak in to the soil. It isn’t a pond or wetlands. In fact, most of the time it is dry. Rain gardens can be both beautiful and functional. A mix of perennial flowers, ornamental grasses and woody shrubs adapted to both wet and dry conditions can be used in a rain garden. We intend to use plants that will also benefit wildlife/pollinators. About 4-5 years ago, rain gardens created quite a “buzz” around our community. I’ve got a couple spots around my own home where I should seriously consider a rain garden. Add that to my “to do” list! Here’s to Sharing the Buzz! Mother, Wife, Grandma! 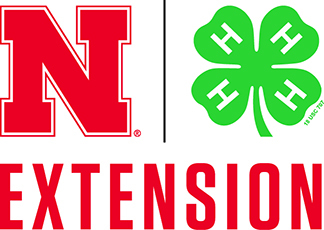 I am an extension associate with the Nebraska Extension in Lancaster County. I work with urban pests and wildlife, youth programs and manage the office web site at http://lancaster.unl.edu. My degree is in education and I taught in rural public schools in Nebraska before coming to Nebraska Extension - UNL. I am Deputy Commander of the 155th Composite Squadron Civil Air Patrol in Lincoln - my focus is on public affairs, disaster relief and emergency services. Great organization of adults/teens serving this nation. Love my family, jobs, and sharing my love of nature and the outdoors with anyone who will listen.